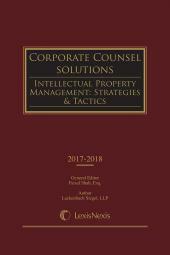 Describes the interrelationships of the various categories of intellectual property, and individually discusses acquiring, protecting, and transferring copyrights, trademarks, and patents. LACKENBACH SIEGEL, LLP Scarsdale, New York, www.lackenbach.com; a law firm specializing in all fields of Intellectual Property law since 1923, including patents, trademarks, copyrights, trade secrets, advertising, internet and computerlaw. Prepared by: Cathy E. Shore-Sirotin and Andrew F. Young with contributions from Howard N. Aronson and Jeffrey M. Rollings. Cathy E. Shore-Sirotin Trademark and Advertising Departments; Member: New York, New Jersey, California, Washington, D.C., SDNY, EDNY, WDNY, CD Cal., DNJ, CAFC & U.S. Supreme Court; Fordham Univ. School of Law (J.D. ); New York Univ., Stern School of Business (M.B.A.); Univ. of Pennsylvania, The Wharton School and College of Arts and Sciences (B.S. and B.A. ); Author: "Antitrust and Professional Sports Eligibility Rules" (Fordham IPLJ 1990); Editorial Board, The Trademark Reporter (INTA 1996-2003, 2006 ); Editor-in- Chief, Trademark Bulletin (NYSBA 2000); Profiled in Beyond L.A. Law: Stories of People Who've Done Fascinating Things with a Law Degree (Harcourt Brace 1998); Former Assoc. Gen. Counsel, News America Inc. (News Corp.) and Asst. Gen. Counsel, Elizabeth Arden Inc.; Law Clerk, Hon. A. Andrew Hauk (C.D. Cal. 1990-91). Andrew F. Young Patent Department; Member: State Bars: New York and New Jersey; Federal Court Bars: SDNY, EDNY, DNJ, Court of Appeals for the Federal Circuit (C.A.F.C.) and United States Supreme Court; Alfred University College of Ceramics (B.S.C.E), Sheffield University, U.K.(additional studies); Widener Univ. School of Law (J.D. ); Registered to practice before the U.S. Patent and Trademark Office (U.S.P.T.O.) and Canadian Intellectual Property Office (C.I.P.O. 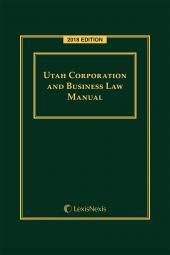 ); Member American Intellectual Property Law Association (A.I.P.L.A) and American Bar Association (A.B.A. ); Former Engineer, Allied Signal, Inc.
A grateful acknowledgment to Gene J. Sirotin, C.P.A., M.B.A., GJS Consulting Company, Ardsley, New York, GSirotin@msn.com, for assistance in connection with Financial Aspects of Intellectual Property.